Men's & Women's Silver Pendant: LOVE2HAVE in the UK! 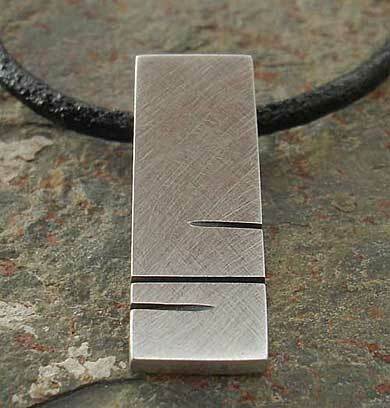 This men's and women's silver pendant comes in a lovely steel finished matt silver. It comes based on the same range of pendants that we would class this as a beautifully modern yet understated contemporary design suitable for both formal or casual occasions. It features black etched lined detail with grooves cut into the silver. 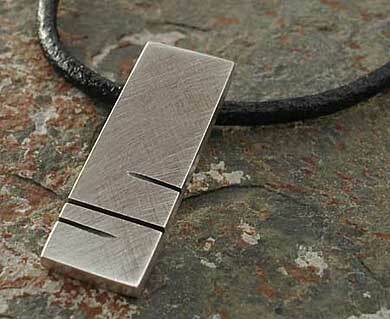 There are three of these slots which sit towards the bottom of the pendant and run parallel to one another. 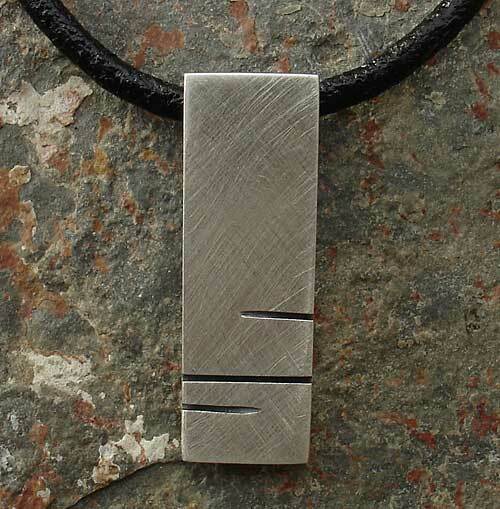 The pendant measures approximately 8mm x 19mm and comes threaded onto a 16-inch black leather necklace. We can provide a longer length if required.